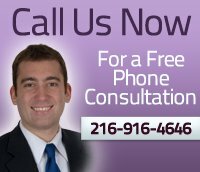 Hypnotherapy to quit smoking in Cleveland is an excellent option for people who want to finally quit smoking. 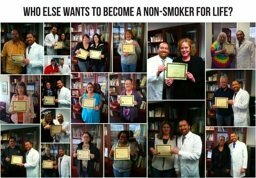 At our Cleveland hypnosis and hypnotherapy center, many people in Cleveland have completely quit smoking using hypnosis, with many clients being able to quit smoking using hypnosis very quickly. A large majority of our clients that have quit have even reported that they don't gain weight, although your individual results may vary. Receive a free phone consultation to finally take control of your life. The majority of the people who use hypnotherapy to stop smoking are often puzzled at why they can't quit on their own, even though consciously they have many complaints about what cigarettes do to themselves and their bodies. For example, most smokers hate the way their breath and clothes smell after a smoky night at the bars, not to mention the way their bodies feel that morning after. They even know all the dangers that the media has publicized about cigarette smoking. If you're a smoker, maybe you can identify with some of these rational arguments that maybe you have made at one time or another. Thankfully, the media has had numerous positive reports on hypnotherapy to stop smoking. Click here to receive answers to any questions you might have about hypnosis and how it can help you. So why is using hypnosis and hypnotherapy to stop smoking such a good option for people who want to quit smoking? Because by using hypnosis, you effectively address the cause of the bad habit right at the source, the subconscious mind! Unfortunately, many people try to quit smoking using willpower, and are often dismayed at the results. The reason so many people have problems quitting smoking using willpower is because willpower is a product of the conscious mind. The conscious mind likes to think that it’s in control, when really our subconscious mind with all of our past experiences is what is really driving our behavior. That’s why willpower doesn’t work so well. It’s like thinking that using a powerful tool such as a battering ram to break down an obstacle is all that it takes to reach the gold on the other side. This is all well and good, except when the obstacle (the negative conditioning from your subconscious mind) could be the size of the Great Wall of China! Once you address the real issues of smoking when you're bored or stressed at our Cleveland hypnosis and hypnotherapy center, you don’t even need the “battering ram” to get to the other side. You simply walk the open path! For the sake of your health, and the sake of your family and loved ones, give us a call today to answer any questions you might have about our stop smoking program. But if I use Hypnotherapy to Stop Smoking, What About Cravings? Isn't Nicotine Physically Addicting as well as psychologically addicting? While nicotine is both physically and psychologically addicting, the physical addiction feeds off the psychological one. So if you help take care of the psychological addiction, then the physical one is like a kitten's meow compared to a lion's roar when quitting cold turkey. Many of our clients tell us it's not even an issue. Do you have questions about hypnosis to stop smoking? We are happy to answer them. One o﻿f the mos﻿t important things we teach our clients is to﻿ form a new conditioned response﻿ once the old conditioned response has been removed and the client has quit smoking by hypnosis. Most of our clients are able to replace the smoking cravings with a positive alternative response. They do not fall prey to the negative self-talk that assures failure. They repeatedly tell their body that this will be easy. They are given the hypnotic suggestion that every time they take a deep breath and drink a glass of water they decide that they will feel satisfied, energized and clear headed. They affirm the results and expect it to be easy. Understand that most cravings are a result of a conditioned response! Conditioned responses are powerful, but creating new ones can be easy. During the hypnosis, we tell the client to imagine themselves in a future moment when they no longer smoke. They also are instructed to spend time in that imaginary future when they are a nonsmoker, where it does not bother them a bit, and then look back and remember how EASY it was to use hypnotherapy to stop smoking, feeling that feeling of being back in control of their own life. The client is then instructed to press their thumb and finger together on their right hand and hold it for about 30 seconds. By creating what is called an anchor, the touch of the thumb and finger connects a feeling in your brain or STATE OF FREEDOM and CONTROL with the trigger of a squeeze of your thumb and finger. This is what differentiates the AbsolutePeak Hypnosis Center from other hypnotherapists in cleveland. We give you a powerful new conditioned response to easily replace the old, less-than-positive behavior when using hypnotherapy to stop smoking. If you're ready to step and set higher standards for yourself and your life and break free from smoking, click here to learn more about our FREE, no-obligation phone consultation. Our hypnotherapy to stop smoking success rate is excellent. Plus, we have lifetime follow up support sessions included at no charge for reinforcement. Call us today to change this habit. Or if you'd like to ask us any questions you might still have about hypnosis or hypnotherapy to stop smoking, please email us a question and we are more than happy to answer any questions you might have. To Go to the Top of Our Hypnotherapy To Stop Smoking Page, Click Here. To Go to our Home Page, Click Here. * Important Disclaimer: While hypnotherapy is a powerful tool to accomplish change, it is not a "magic wand." It DOES take some conscious commitment and effort on the client's part. While we have an excellent track record and 12+ years of amazing results for our clients, every person's results may vary. Hypnosis is a partnership, and your results will depend in part on YOUR level of participation and effort. We can't "make you" do anything. But if you are ready to make powerful changes in your life, this is a powerful tool to help you in your journey. Contact us today to learn more. Apply For a Free Phone Consultation to Quit Smoking Here.